Not much cooking or blogging has been going on at my house during the holidays. I’ve spent all my time adoring my grandson Isaac. Not much sleeping going on, either. Isaac is cutting his first tooth and although it didn’t seem to hurt, he was restless and not in the mood for sleep. So we’ve all been a little sleep deprived. Somehow, we did manage to throw together an unimpressive buffet for 16 people on Christmas Day. So unimpressive, I forgot to take photos. We were still discussing what to serve after going to bed on Christmas Eve. 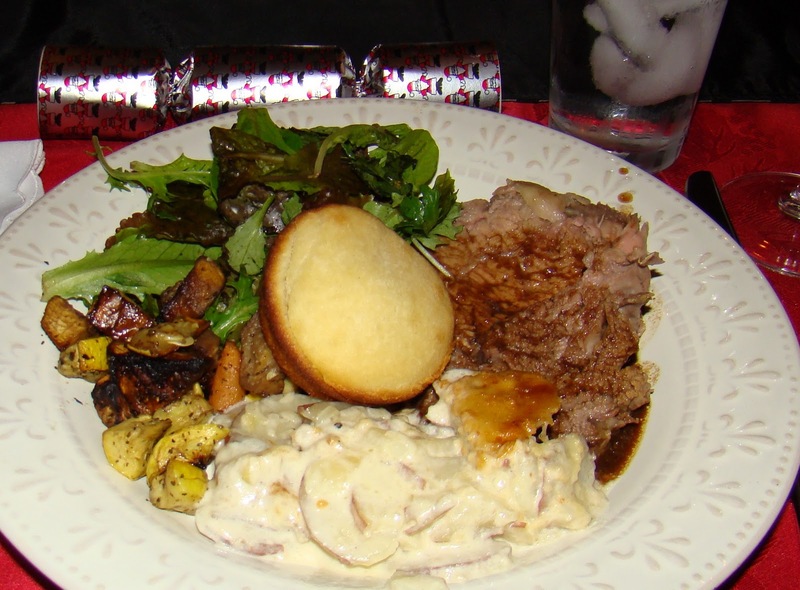 Dinner on Christmas Eve with our friends next door was far more outstanding than our efforts the following day. Our friend, Paul, prepared a prime rib roast for 10 of us to enjoy. We’ve been sharing Christmas Eve dinner with these friends for many years. Paul cooks Christmas Eve and we cook Christmas Day. When Elyse, my daughter-in-law, first joined us for holidays, she was thrilled that our friends bake a cake and sing happy birthday to Jesus as part of their family tradition. 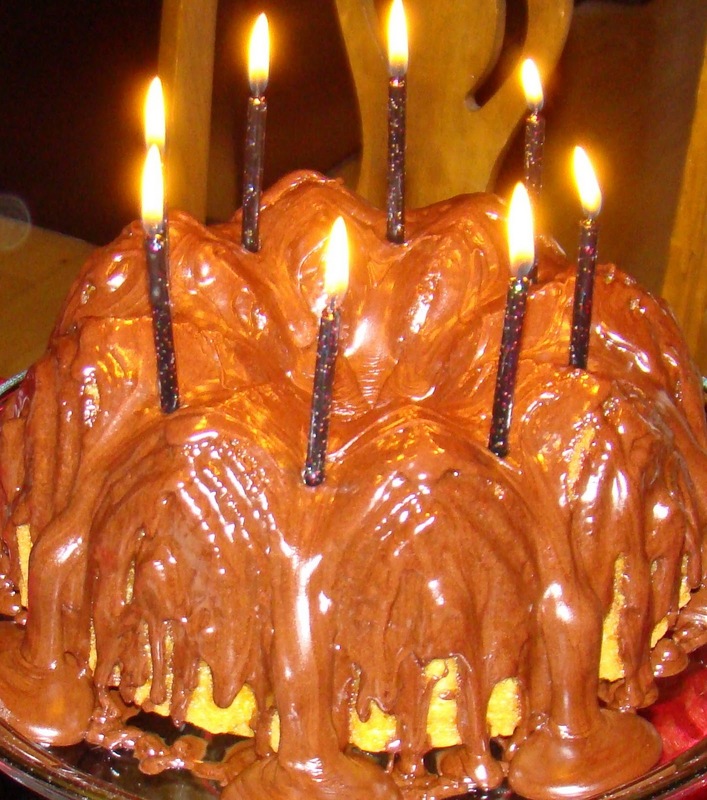 She had never encountered anyone other than her family who celebrated Christmas with a birthday cake. On Christmas Day, our three godchildren were among the guests, just as they have been most years since they were born. I was feeling nostalgic and brought out my photo albums for the children to see some earlier Christmases when they were much younger. 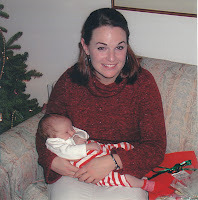 One of my favorite photos is from Christmas 2002 of Elyse holding Andrea, the youngest of the children. Andrea was not even one month old. It was on that day, seeing Elyse holding Andrea, that I began to hope and dream that someday Elyse would be the mother of my grandchildren. At age three, Andrea and her siblings were attendants at Matt and Elyse’s wedding. 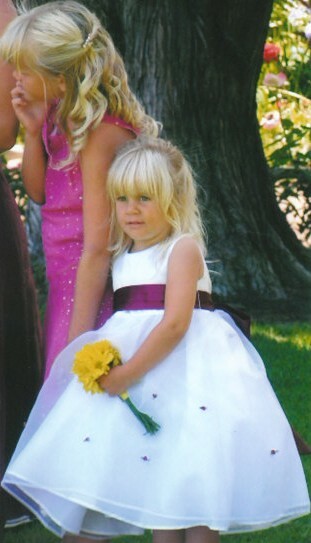 As you can see, she made an adorable flower girl. Fast forward another four years to Christmas 2010. Here is Andrea holding Elyse’s baby, our grandson, Isaac. What a beautiful and loving circle to be closed this holiday season. What more could I ask for! My dream has come true. Oh look how precious she is. And that photo with Isaac. He's just got the sweetest little face! I confess, I ooooh'd over the photos, then went back to read your post. Those babies just steal the show.